Well, it’s been an eventful time here as I am settling in and learning more about life in Malawi. Since I last wrote Pete (clinic manager), 3 trainees, Quinn (an OT student from the United States) and I have been on a 3-day outreach clinic to the village of Liwalazi near Lake Malawi. The outreach was busy and complicated. We had a number of children with foreign bodies in their ears, and it was a learning experience for the trainees as they saw patient after patient who had no eardrums due to chronic infections. My otoscopy skills have improved rapidly since I started working here! One little girl had bilateral atresia, we’d seen her previously and fitted her with a bone conductor hearing aid on a headband, she’d worn it for over 2 years but it had recently broken. We replaced it, but the following day she was back. She’d been to a community gathering and some children didn’t know what the aid was, so had grabbed it off her head and broken it. Fortunately it was repairable. My role was, as is generally the case on outreaches, to keep the hearing testing going smoothly, and to programme hearing aids using an Audioscan coupler. 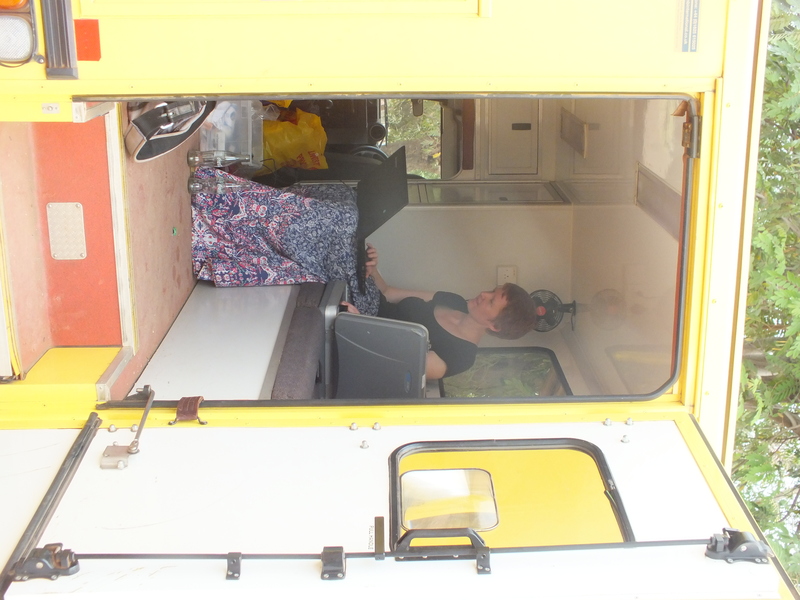 I alternated my time between the audiotrailer (approx 40 degrees) and the back of the landrover (probably over 40 degrees). Yes, wherever was the hottest place, that’s where I’d be. I was really impressed by the Audioscan, which was so hot to the touch you could have burned yourself on it, yet it kept on working smoothly so I could programme the aids. Sitting in the Landrover, with 3 computers running and hearing aids everywhere, it was pretty chaotic, but I managed. One evening I was chatting with Quinn and we were in definite agreement that the showers at our guest house were amazing. Now, my shower had 2 taps, both of which issued tepid water. I shared it with a dying cockroach. The only thing that was amazing about that shower was that when you turned the tap, vaguely mud-coloured water trickled out. On the second evening I shared my shower with 2 dying cockroaches, I didn’t even care. On the final morning, there was no water. Ah well, we knew it was too good to be true. Driving home, the air conditioning unit in the audiotrailer (which hadn’t worked all trip, of course) fell off the wall. We were expecting this so went to check on it when we were half way home. That was when we discovered that the door to the audiotrailer wouldn’t open. 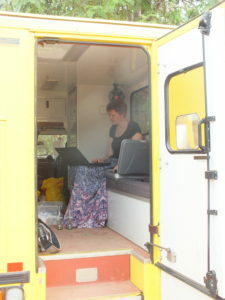 We managed to get the door open and do a temporary fix of the air conditioning unit with cable ties. Then we couldn’t close the door. More cable ties and another temporary fix. There is a whole lot more to the role of an audiologist in Malawi than I ever considered in England! Back at the clinic, our major news is that we have starting a pilot project for newborn hearing screening at the maternity clinic attached to our centre. It’s only a small clinic, it won’t be huge numbers of babies, but it is still exciting, and daunting. We’ve set up so that an assistant audiologist and trainee will do the screening – they’re excited – and then any referrals come to me – I’m daunted. 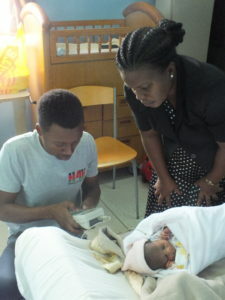 We were clear that we would not start the project unless we could manage any babies identified with a hearing loss. We now have everything in place to screen and then do diagnostic testing, the only thing we don’t have are hearing aids with tamperproof drawers. I will refuse to fit an infant with hearing aids that are unsafe; when the time comes, we will have to source some. One concern I had about starting the screening programme was what will happen when I leave? I am busy training Alinane to do ABR testing using UK protocols, but she won’t have the experience required to continue this without support when I leave next September. Pete asked that we start anyway, saying it’s a lot easier to hand on a project that is already running successfully than to ask someone new to start it. So, we have started, and we’ll see what happens as time goes on. Even if it is not sustainable in the long-term, at least we will hope to have provided a quality service for some time by then. 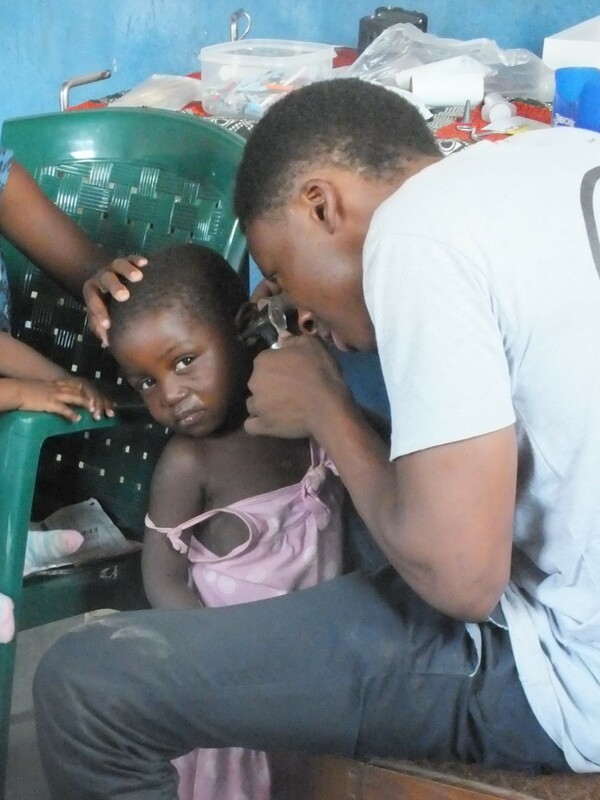 Kamuzu and I recently fitted hearing aids for the 4-year-old I mentioned last time, who has a severe hearing loss. She’d first come to the clinic 2 years ago, and the notes showed that she needed urgent follow-up then, but there were various additional notes, showing things like ‘mother has gone to the village to help with the harvest, will contact us on her return’. Both parents came for the fitting, keen to learn how to do the best they can for their daughter. Life here is tough. The clinical work really challenges me to think about challenges that ordinarily can be referred on to other people. I saw a delightfully engaging little 2 1/2-year-old recently, I’ll call him McLeod. We confirmed what had previously been thought, McLeod has essentially no hearing. He was very ill about a year ago and was treated with IV antibiotics. Now we are left with lots of questions. What caused his hearing loss? Was he born deaf? Was it the illness? Was it the drug treatment? The family don’t know what the illness was or what drugs he was given (this is not unusual). It’s possible that he has a genetic susceptibility to aminoglycoside ototoxicity, and his mother is pregnant. If his hearing loss was caused by side effects to the antibiotics, then his baby brother/sister may also be at risk. But this is all supposition. In the UK we would refer for genetic testing, and scans, and McLeod would have had been screened for hearing loss at birth, but that is not an option here. McLeod’s family have limited education so we have to make sure that we give them a clear message that can’t be misinterpreted. 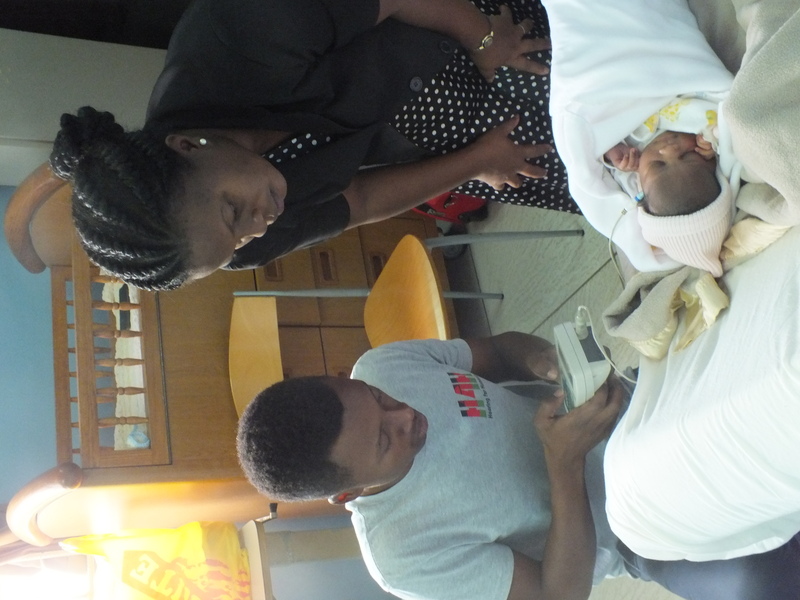 We want them to know that there is a risk that the baby may also go deaf if s/he is given antibiotics, but this risk has to be weighed against the fact that children get sick a lot here, and antibiotics are life-savers. Unfortunately, poorly educated clinical officers routinely give out antibiotics for minor illnesses, and this is the potential danger we want to avoid. If we get the message wrong then the family may put their baby at unnecessary risk of being either deaf or dead. If we get it too far wrong they may give up on western medicine altogether and turn to ‘traditional’ medicine (witchdoctors). This is a very real concern. And what of McLeod? Lovely, bright little McLeod, his future lies with learning sign language and attending one of the overcrowded and poorly resourced boarding schools for the Deaf.